I’m Hollie. It’s probably obvious by my name I was born at Christmas time, to be exact New Year’s Eve. In the year…oh oh almost gave away my age. Two things you won’t hear me talk about are my age or my weight. Just kidding! I was born in 1954 that make me 57 ½, as my grandkids would say. I am a wife of 1. A mother of 5. A grandmother of 16 and counting. A quilter. A dreamer. An author. A collector. A creature of habit. And a product of the 60’s. I grew up outside of Philadelphia in a row home surrounded by concrete, not so pretty. I now live in a lovely home in Southern California. I will talk a lot about my home and home life, it is who I am. Some of my favorite things are books, antique quilts, and scouring my neighborhood shops for vintage finds. I like shopping online, not in malls. I am always making lists and organizing. I love to eat cookies, strawberries and avocados. My favorite numbers are 5, 7, and 13. I like to wear short hair, comfy cotton clothes, and flip-flops. I love baking from scratch, designing quilts and decorating my home. I love pretty things and that is what my blog is about. I want to spread a little pretty to you. 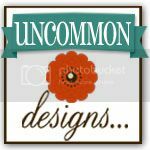 I hope to inspire you through lovely home décor, yummy recipes, clutter remedies, handmade projects , and my original quilt patterns. I will also share pretty finds and beautiful books I adore. I want to give back so each month I will have a book giveaway. It might be a cookbook, design book or maybe even a children’s book. I also want to help you find your style in your home. Just fill out my design kit questionnaire and I will do a virtual design board for just you. All for free just because I love doing it. I’m glad you found me. I Lived On Wisteria Lane, is my virtual home. I hope you have a few minutes to explore. And remember to say hello once in a while. Come back and visit as often as you like, my door is always open. Huge fan of your blog here. In fact, been reading your concept for our River North Park home. Hi I just found your blog..I was wondering by your california licence plate if perhaps you are Canadian? My husband is and we lived in Calgary for a big chunk of our married life. I just found your blog via Pinterest! LOVE LOVE LOVE what I see so far and I'll definitely be back to have a closer look around! Big hello all the way from the farm I live on in Western Australia! I, too, just found your blog via House of Turquoise. Your house is glorious as are all your photos. It's also nice to visit a blogger who is close in age and is also a child of the 60's! I will be back! I found your blog through H.O.T. also. You are amazing. I was absolutely floored to find out you are a Grandma and HAVE GOT IT GOING ON!! (I hope you take that as a compliment, I totally meant it that way). I just read your blog beg to end and I just want to ask you...will you adopt me as a daughter? I love your style, and your home is a DREAM home. I am a SAHM to 3 children and I always admire moms who have big families and seem to be so darn good at it all. Love how you put family first. I am saving your blog in my favs. I found you from your guest blog on House of Turquoise! Thought I would check out your blog and I am impressed! I love the organization ideas you share! Very inspirational! Your family is beautiful! I look forward to getting to know you better through your blog!